It has been a poor season for Darrelle Revis of the New York Jets. Will he be on the team next season? The 2016 season has not been a good one for the New York Jets. There are multiple reasons why they have struggled, and one of them is the performance of cornerback Darelle Revis. Revis was signed to a big contract in the 2015 offseason, and fans were excited to have their shutdown cornerback return. Revis was coming off a great season with the New England Patriots, as he helped them in a Super Bowl. With new general manager Mike Maccagnan, the Jets needed to upgrade their secondary. The best cornerback on the market was Revis, and the Jets got a deal done. Last season, Revis struggled toward the end, but many believed it was because of a wrist injury. While it wasn’t the Revis of old in 2015, he was still a good cornerback. However, this season, Revis has been dreadful. Since Week 1, Revis has been burnt by plenty of wide receivers, some big names and some not. 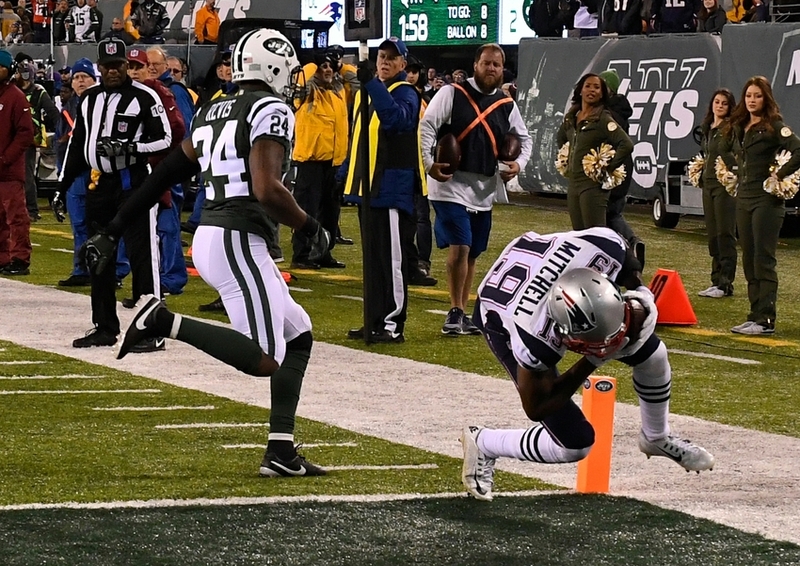 In the loss to the Patriots on Sunday, it was Revis who allowed the eventual game-winning touchdown to Malcolm Mitchell. Due to his poor play and large contract, Revis might not be on the Jets next season. The Jets will likely try to renegotiate with Revis, and if that doesn’t work he will likely be released. This offseason, the Jets are a bit cash-strapped, and they need to find ways to free up some salary. Next: Who are the 10 greatest first round picks in Jets history? Finally, it will be interesting to see how Revis plays for the rest of the season. Furthermore, he has shown an unwillingness to renegotiate in the past, and that could result in a second departure from the Jets.